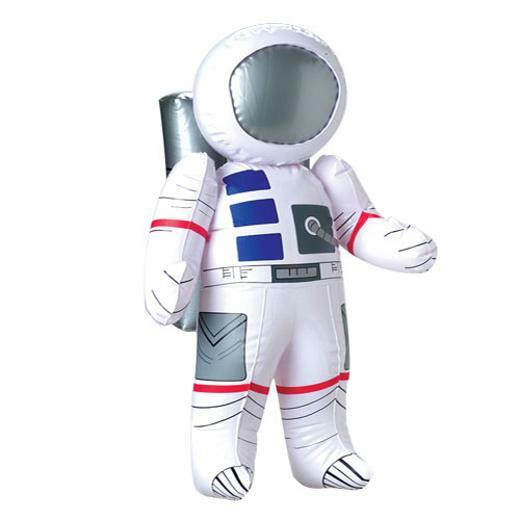 Travel into space with your inflatable astronaut buddy. Inspire your child's imagination with this inflate. Together with this astronaut, they will discover their backyard is the moon and adventure knows no bounds. Also makes for a great decoration for space themed parties. A perfect companion to take to the pool and beach for some water playtime. Goes well with our inflatable space shuttle. L: 8.0 in. W: 1.2 in. H: 9.2 in.